It was well overdue for an outing with Rob and Sherrie. We normally do this monthly, but it’s probably been 6 months or longer. And as we often do, we set off to places none of us had been before to discover the mining history of the area. But if anyone had asked, we were hunting for wild mushrooms and raspberries (which we found and ate). We headed up towards Mammouth (or Mammoth, depending which sign or map we were looking at) Gulch in Gilpin County. As we bounced and jostled up the 4×4 road, Rob kept an eye on the maps. There was a “Y” symbol next to the road, which in U.S.G.S. symbology means an adit or tunnel. So we stopped to explore what we couldn’t see. 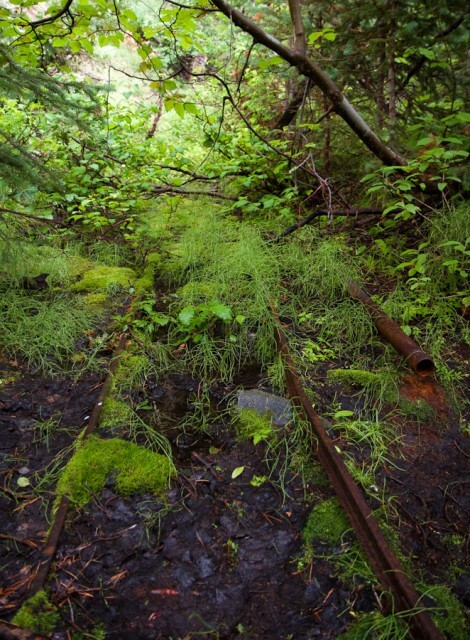 We discovered some rusty rails, overgrown with dense vegetation fed by the water flowing from the mine. The tunnel entrance was caved-in, but it was clear where it was. 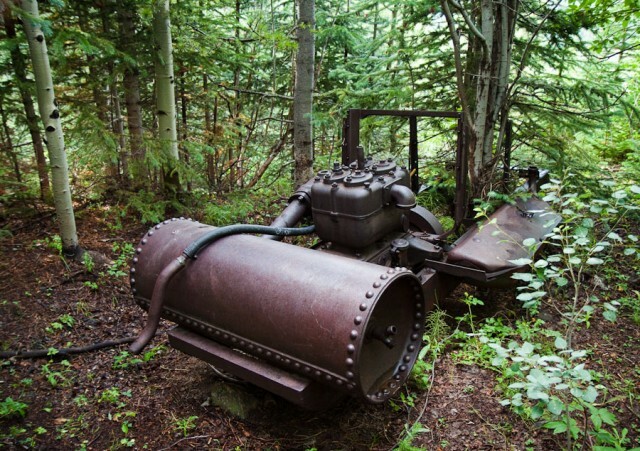 Air compressor, originally powered by a gasoline engine which has since been removed. This mine was a more recent endeavor compared to what we normally find. It used a gasoline powered air compressor. The older mines used steam power. We followed one of the roads up Mammouth Gulch only to find it blocked with a gate. It seems more and more people who own mining claims are blocking any access across the claim, even though public lands are beyond it. It seems wrong in my opinion. Existing roads and trails should automatically carry an easement. It’s not as if there is any active mining going on. Since we were stopped, we picked some wild mushrooms to have later with dinner. Then we headed towards a place called Nugget. There were already some other explorers, who were just leaving when we arrived. They told us they had descended a shaft. I took a look at it and decided to do the same. The map referred to this location as Nugget, with mine shaft entrance to the right (pipe). It was angled down about about 35 to 40 degrees. I went down, feet first, until the corrugated pipe ended. Rob and Sherrie stayed at the surface. 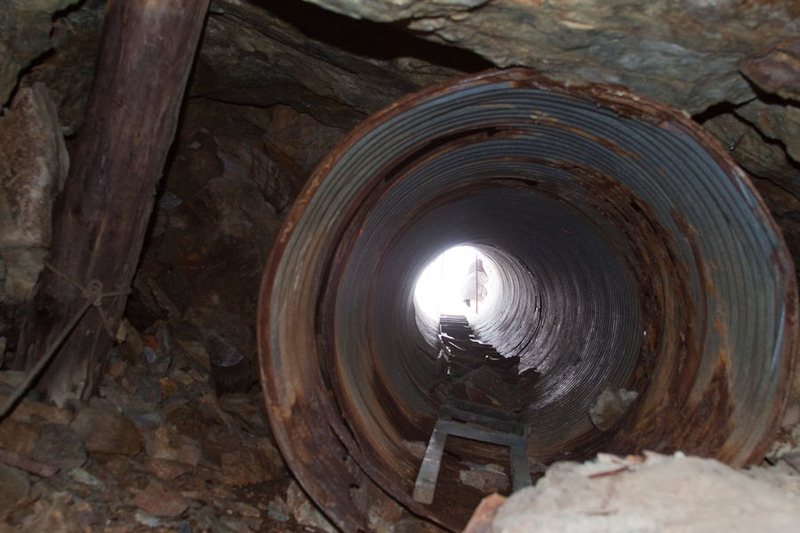 Once I was through the pipe, I was in a 10 foot wide passage, strewn with rocks and trash. It was about 4 feet tall and continued down at the same angle as the pipe. At the end of the passage, it dropped straight down. Just beyond the vertical timber near in the center, the shaft dropped straight down. Although there was a rope to hang onto, I didn’t venture near the edge because I didn’t know how stable it was. I tossed a rock down and heard it bounce a few times, probably dropping at least 200 feet. 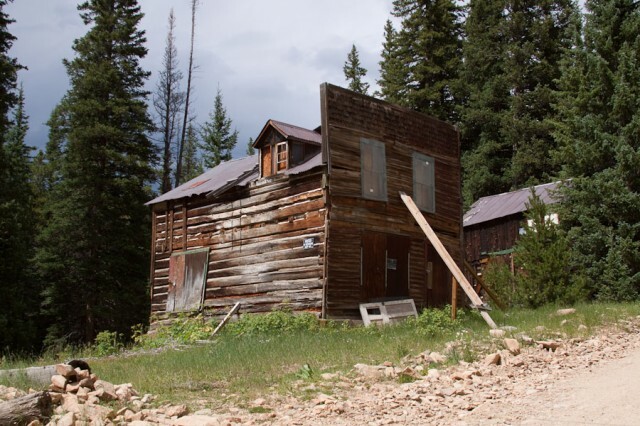 I came back up and out, and we headed towards Apex, which is probably considered a ghost town. Building with false front on it. Apex, Colorado. 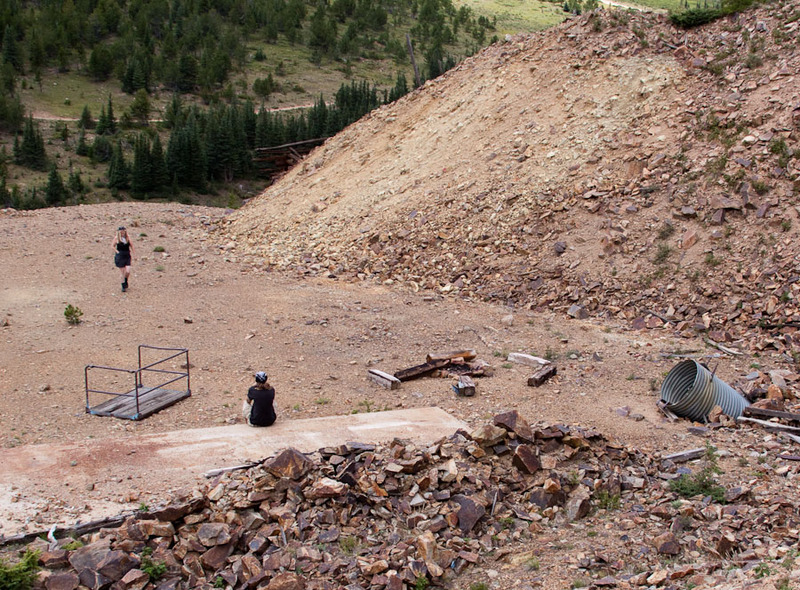 Above apex, we came across another mining operation. This one much more recent. The tunnel entrance had a sliding door on it, but it was caved in behind the door. Air compressor engine. The pulley in the foreground is the compressor which had been removed from the rest of the framework. 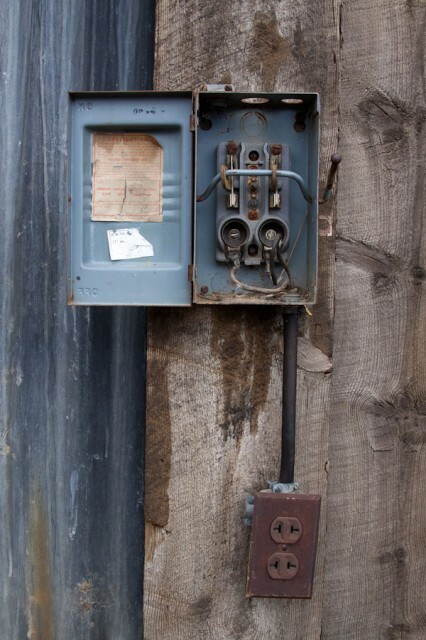 The presence of electrical boxes indicates mining occurred here in the past 50 years or so. 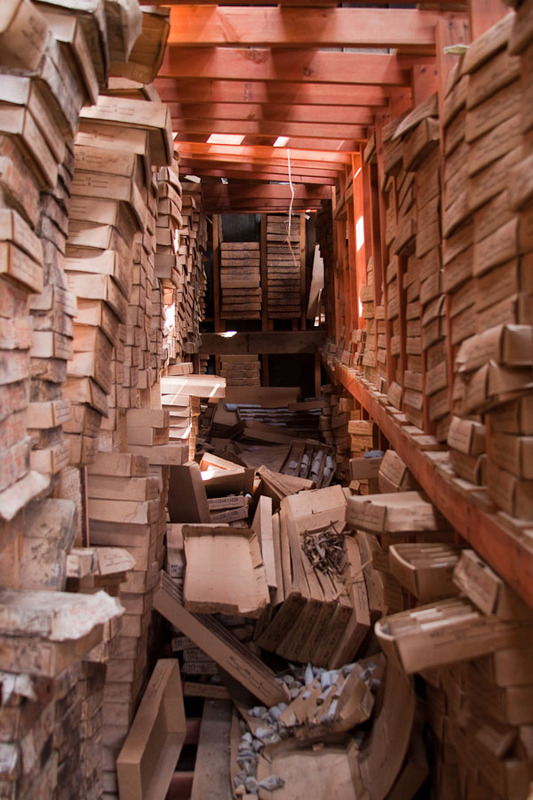 Inside the warehouse were rows of shelves with boxes stacked on them. 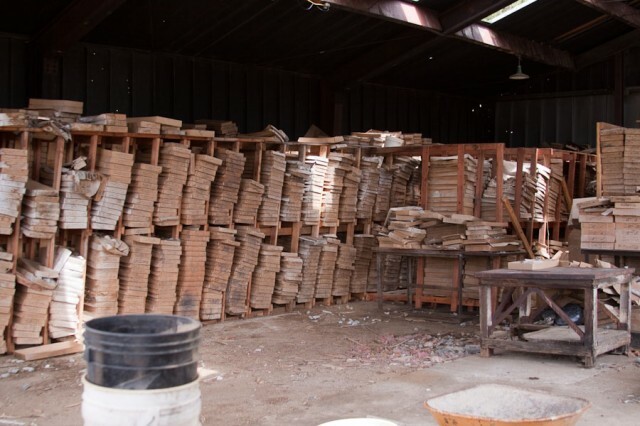 Thousands of boxes, stacked as high as possible. 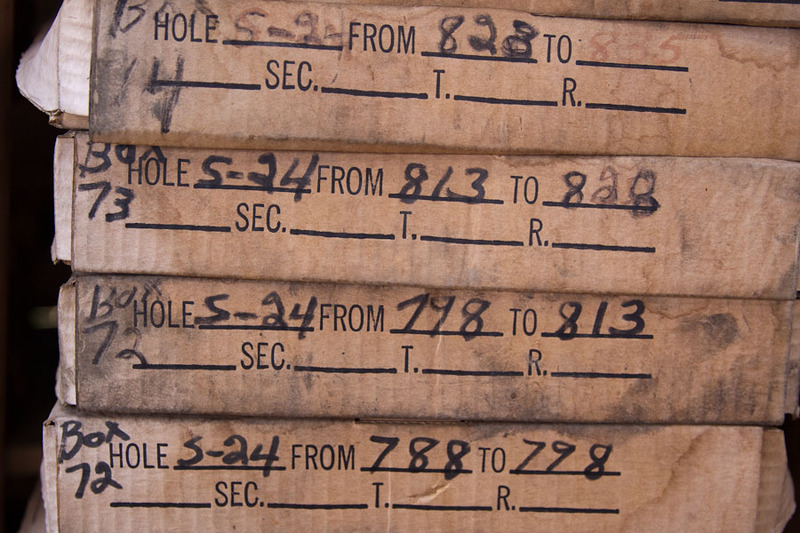 Each boxed marked with hole number and possibly a depth or distance. Inside each box were core samples. 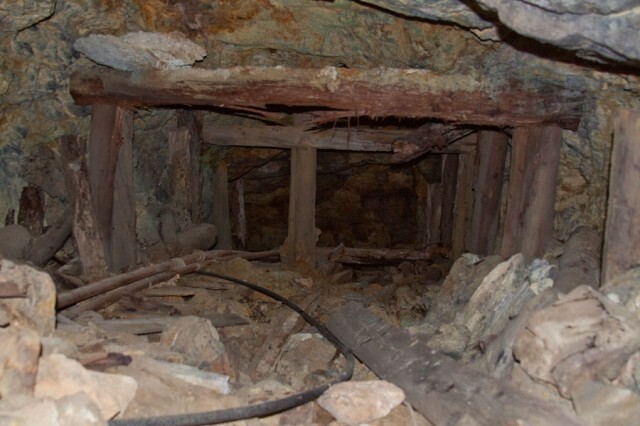 This was probably a silver mine, since the rock doesn’t look like the stuff I see associated with gold mines. We continued on up the side of Dakota Hill, and explored some shaft entrances that had been closed by the State. The afternoon thunderstorms had moved in and we decided to call it a day and head back to my place for grilled salmon. All in all, a very good day. It was a good day, even if we were in the presence of a crazy man who crawls into cold, dark holes in the ground willingly. Madness, I say. Sheer madness ;p.
it *was* a good day. just too bad so many holes have been collapsed in that area. It’s hard to tell which ones have collapsed and which ones the state blew up. I’m wondering if the state marked the entrances they blew up, like the ones we saw on Dakota. i’m inclined to think they were intentionally blasted shut/collapsed, since they are all so close to the roads they’d be an ‘attractive nuisance’ otherwise, and it’s cheaper to blast them than gate/grate them. (tho the bat group i’m involved with has discouraged that in recent years; opting to monitor the possible blasting-shut of tunnels until it’s determined there’s no bat activity, if there is, they’re gated/grated instead). it seems unlikely that timbered, reinforced entrances spontaneously collapse on their own and then be so uniformly grown over in appearance like we always see, or be so uniformly-looking like big pits in the ground… like ant-lion traps. weird. Someone has to try to keep him from getting himself killed ;p.
Great photos…I feel like I was on the hike with you, though without the crawling into mine shafts part. So, when mine areas are abandoned, they don’t have to be cleared of all the machinery? It seems sort of–damn, don’t know what word I want–sacrilegious? Pristine mountain wilderness, heavy corroding machinery and debris. Probably in present day regulations, but there were no such regulations before the 1960’s. And some of the mines were created in the 1890’s and earlier — there was barely a government in those days. The wilderness is gradually taking over some sites, like the one in the first photo. 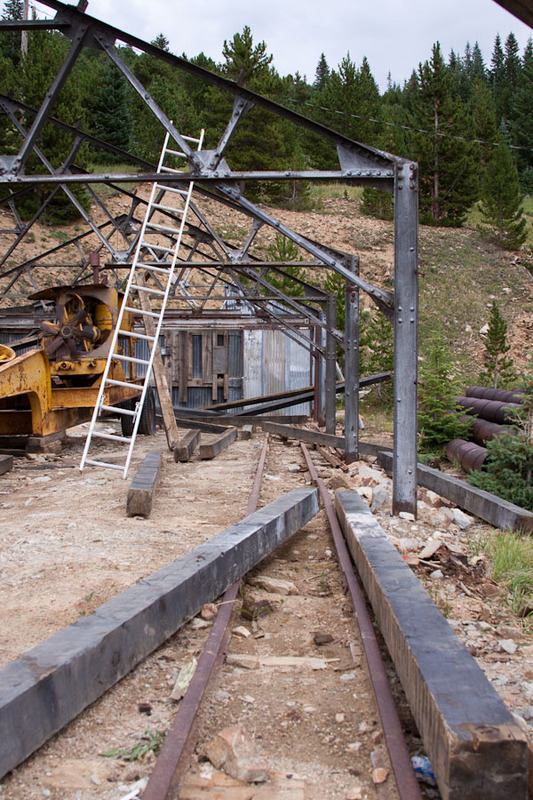 That machinery is a major part of the history, you’d be amazed how rare it is to see such equipment still on site in a historic mine. For example, while there are quite a few of those compressors in the second picture in museums, finding them in “the wild” is a very rare sight. Kind of like seeing a bobcat in the mountains vs in a zoo. Sure, you’re still seeing the bobcat (or in this case compressor), but if it is not in the place where it was belongs (the compressor where the owners left it many years ago) then it’s much less interesting. For me, I’ll do long trips just to see such equipment. 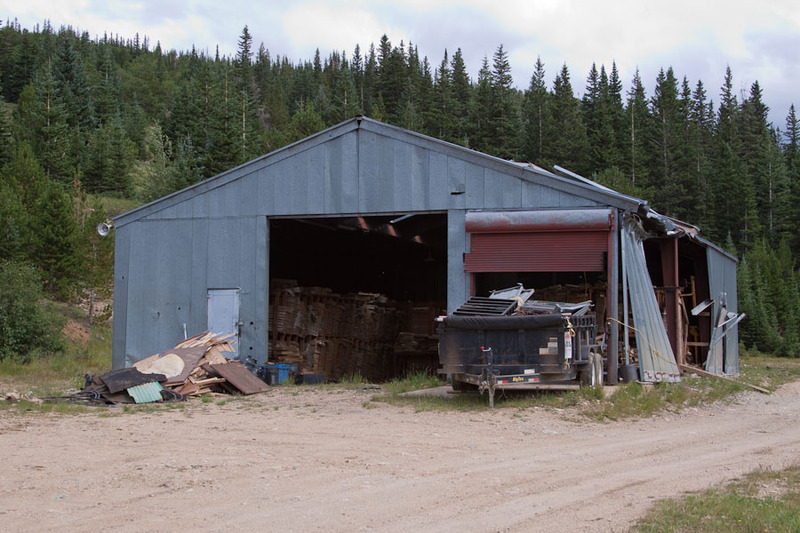 Quite a bit of it is in more remote areas, since that’s where the scrappers can’t get to it as easily. 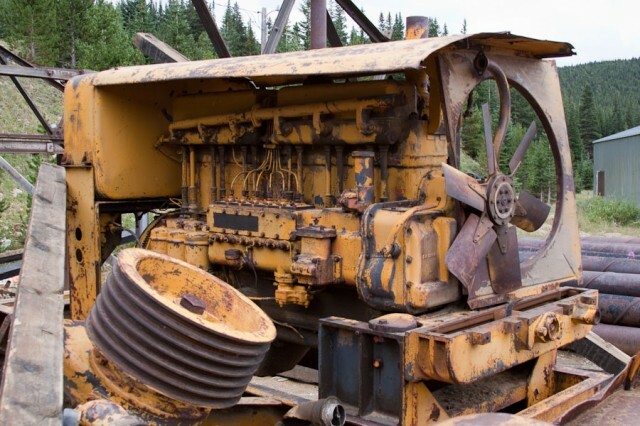 Seeing that machinery left in place is the main reason I and many of the people I hike with will go into the mountains, but the scenery can be a nice bonus. 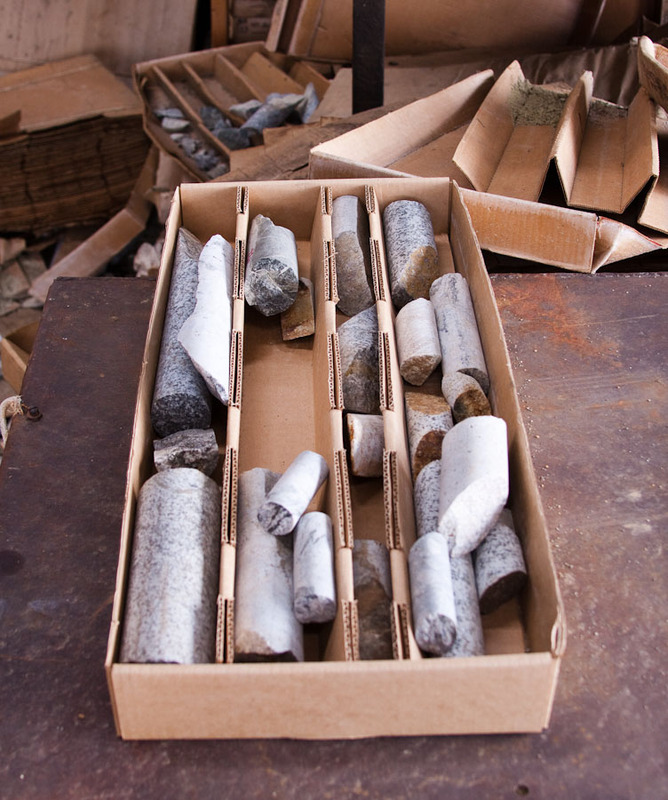 Modern mines have extremely strict remediation standards, which means that they must remove all equipment. Plus, since these mines all have roads to them, there is no reason to leave the equipment since the owners can so easily scrap it out. Back when much of this equipment was left, it had to be packed in by animal so taking it back out wasn’t as practical.